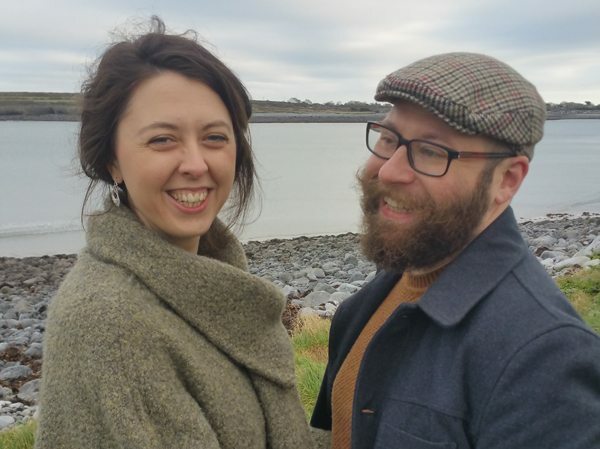 Eleanor & Brendan came to us in the summer of 2015 with a concrete creative brief for a diamond and tanzanite engagement ring. 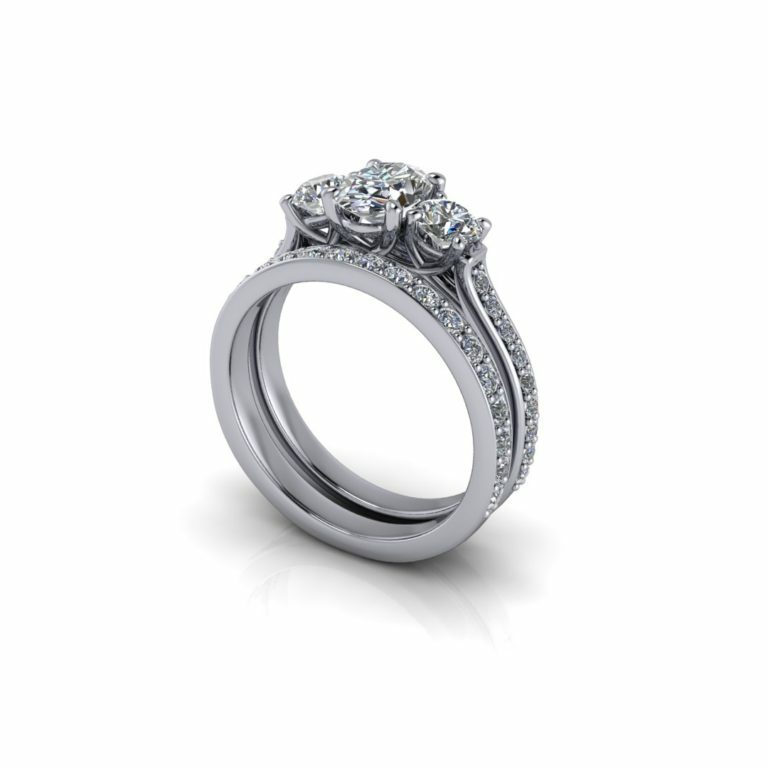 They had been doing their own extensive research via Pinterest and had already settled on a ring design that they loved so they were able to bring a series of reference images with them and asked us could we copy the design with a few minor changes. 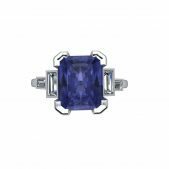 They were both also quite concerned that all stones that went into making the diamond and Tanzanite ring be ethically sourced & conflict free. One of the initial reference images that Eleanor and Brendan brought to our design meeting. 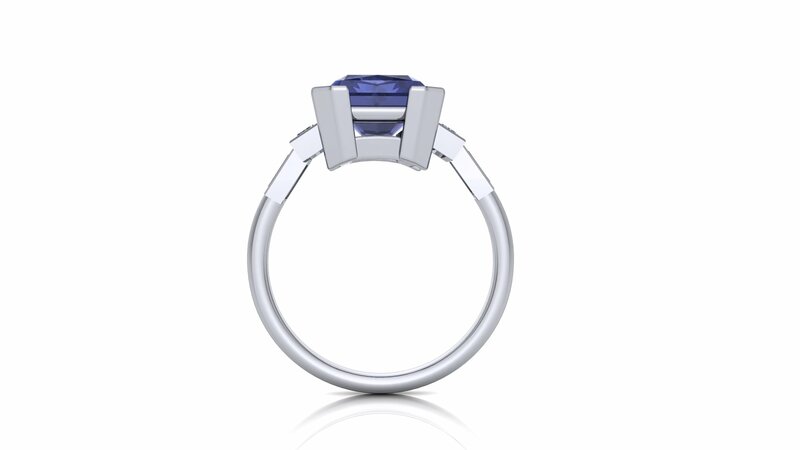 With the reference images as our guide we sketched out an initial design for the ring. 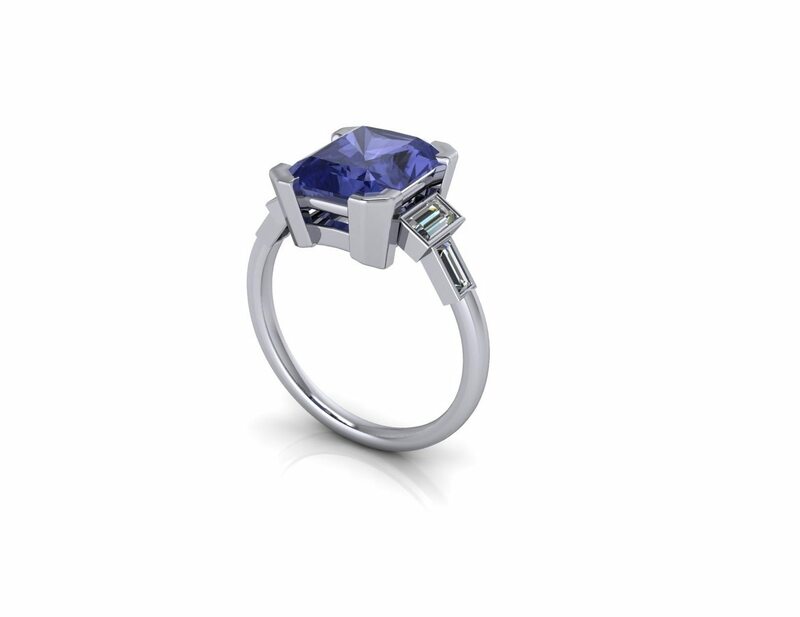 On showing the design to Eleanor and Brendan and getting their approval we went on to create a 3d model of the diamond and tanzanite ring for Eleanor and Brendan which we used to create the design document shown below to allow them to see what the ring would look like when made. 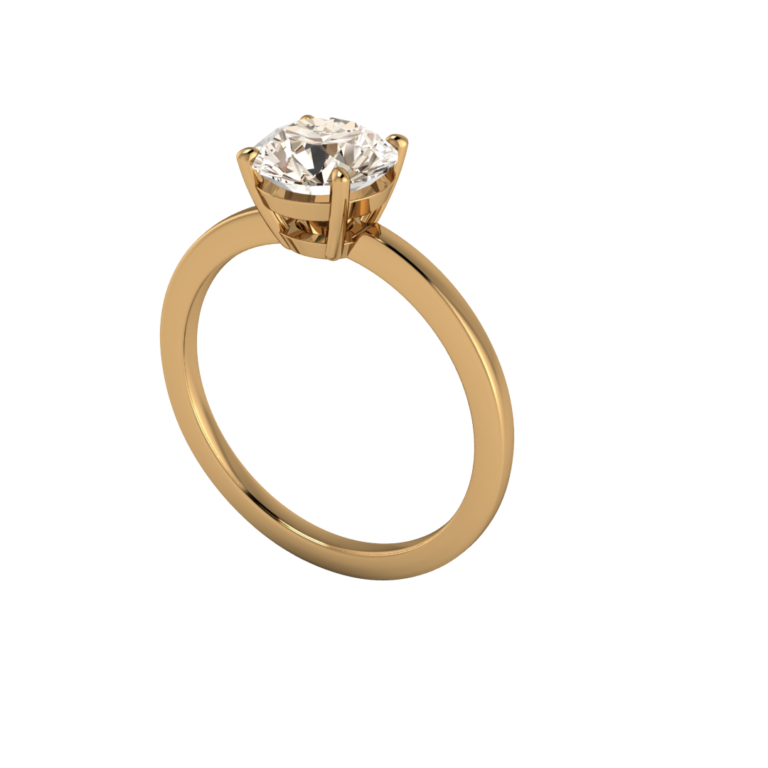 Using our 3d ring design software we created a model of the ring so Eleanor & Brendan could see how it looked. 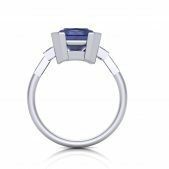 Once they gave their go ahead and we put the ring into production we encountered a small hiccup that necessitated a very slight change to the design. 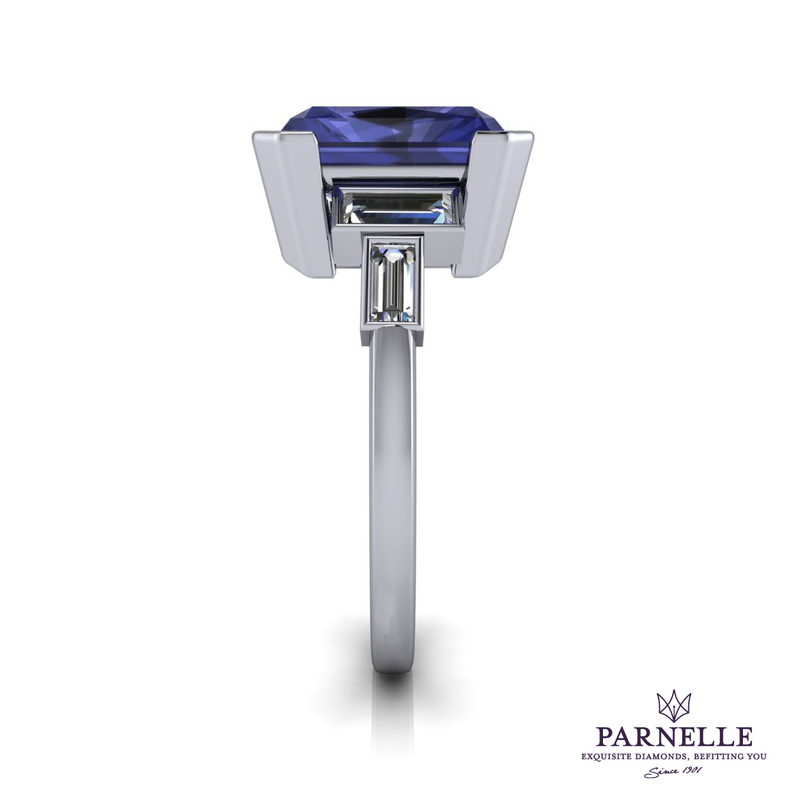 The Tanzanite that we were able to source for ring that matched the couples budget and guidelines was more of an elongated cushion cut rather than the radiant cut they had chosen. 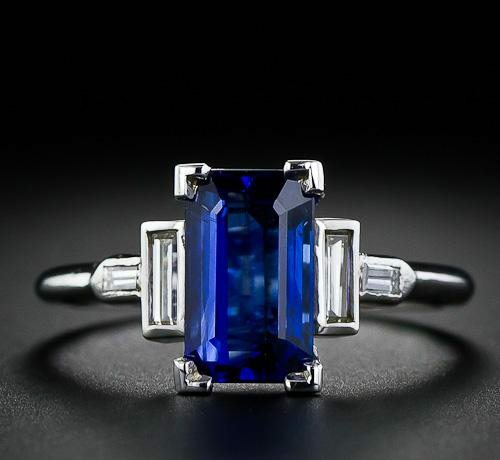 The shape of the stone was quite similar however it had more rounded corners as opposed to the sharper more squared off corners of the radiant cut stone in the original design which necessitated a slight change to the prongs holding the stone into the setting. 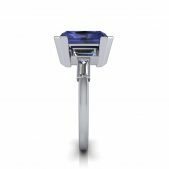 We sent images of the new stone to Eleanor and Brendan and on seeing it they were happy for us to go ahead and use it in their ring. 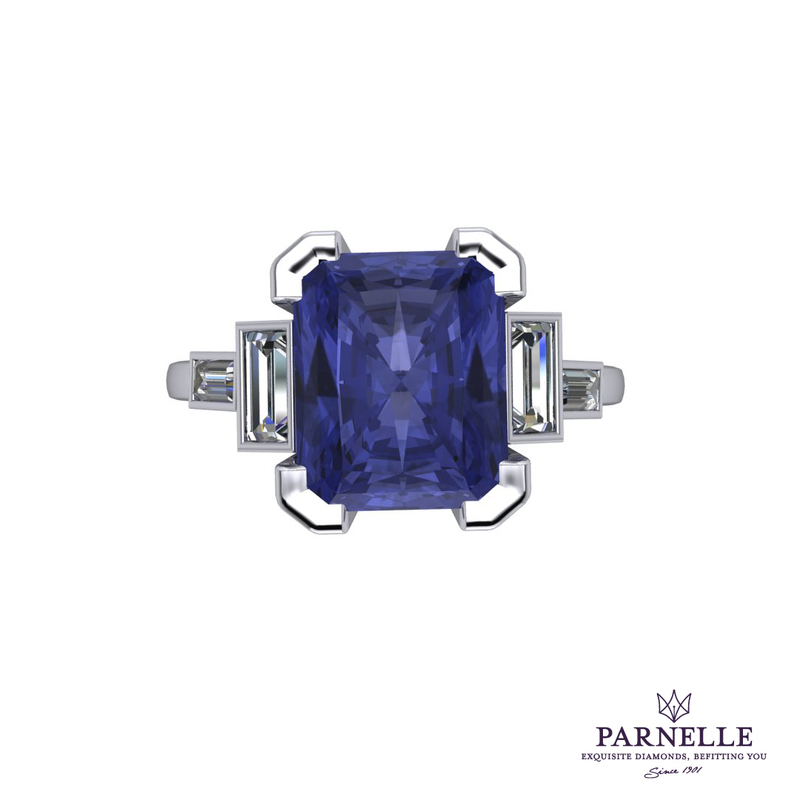 “Brendan and I were already engaged when we started looking for a ring, so I had a pretty extensive pinterest board by the time we met with Parnelle Diamonds. I had narrowed it down to an art deco style and had tried on lots of vintage rings but the ones I liked were far too expensive! 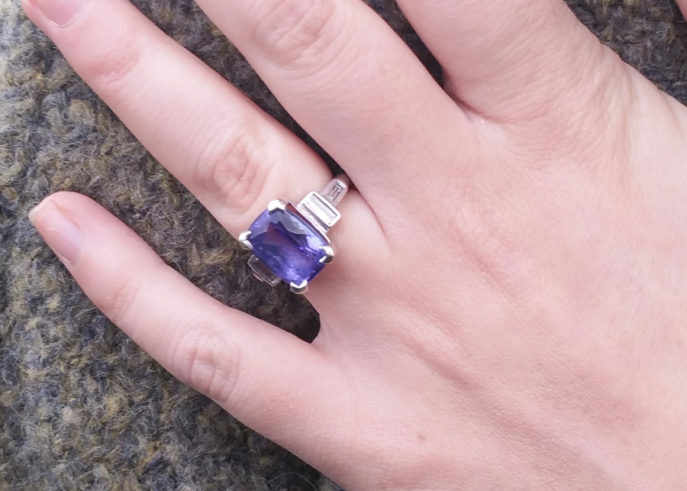 I was a bit hesitant about designing my own ring as I wasn't sure I would be able to tell if it was “the one” without putting it on my finger. I was also concerned about the origin of the stones and wanted to ensure that they were conflict free. 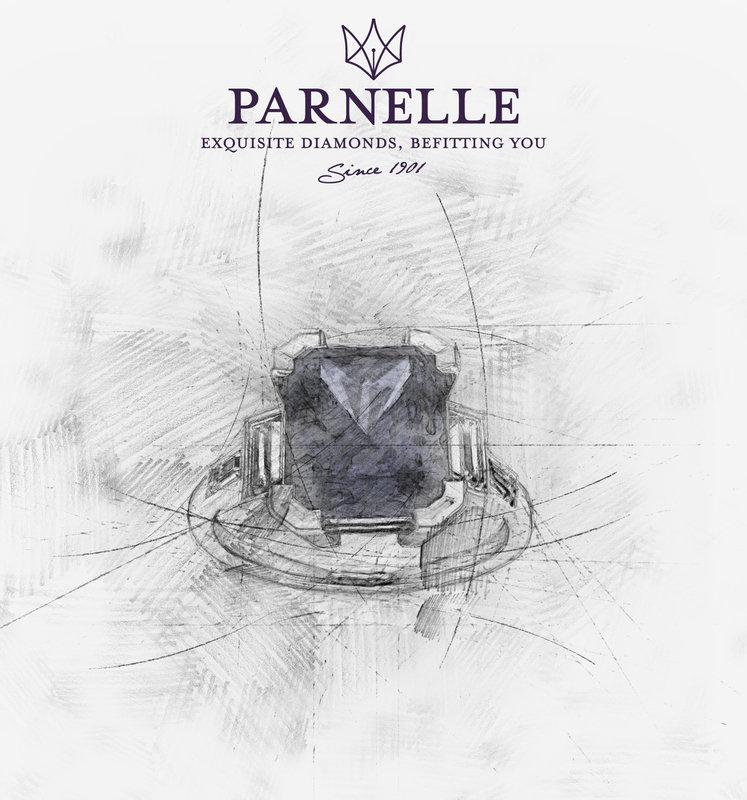 Parnelle Diamonds allayed these fears with their 30 day return policy and guarantee to only use diamonds that have come through the Kimberly process. 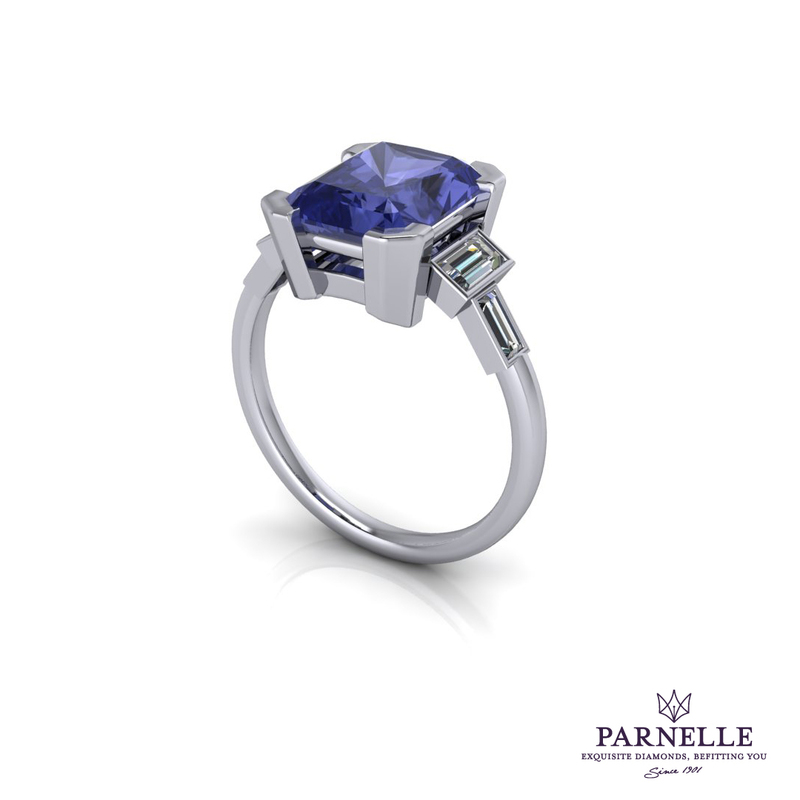 After settling on a picture of a ring I loved, Parnelle agreed to source a tanzanite stone from an ethical mine in Tanzania for the centre and conflict free diamond baguettes for the surround. The result is a ring that I absolutely adore. 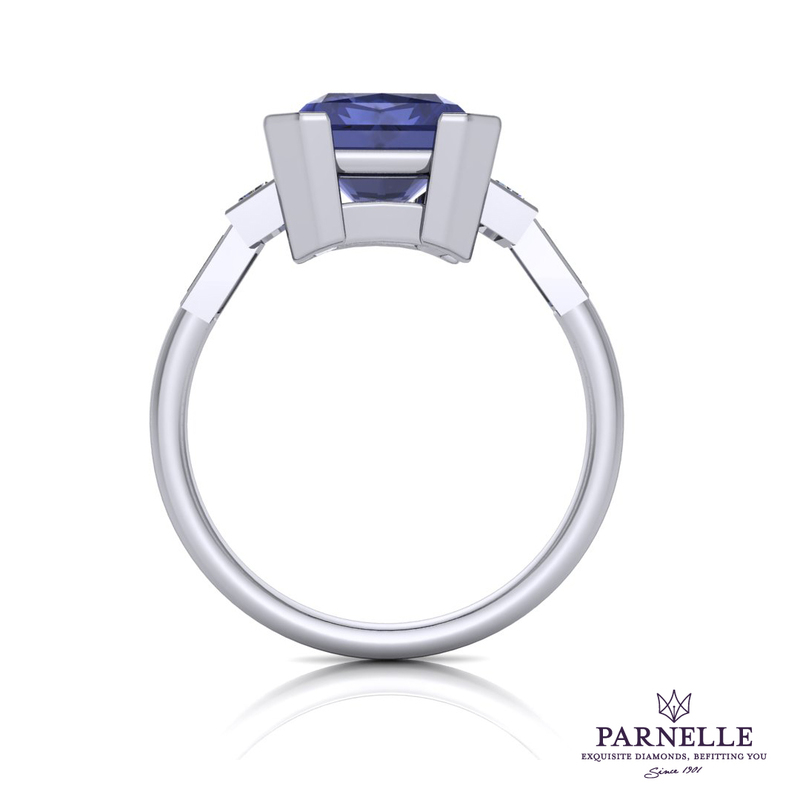 Going through the experience of designing the ring myself meant that I had control over and insight into the entire process. 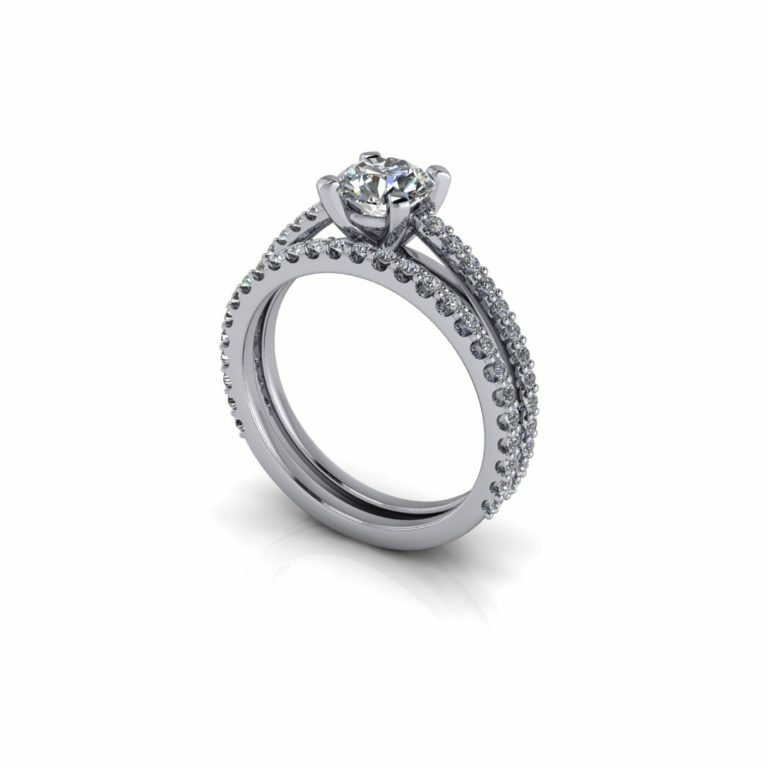 I know where the stones came from, where and in what conditions they were set, could decide on the design of the setting, and got a bespoke ring that I love at a price we could afford. 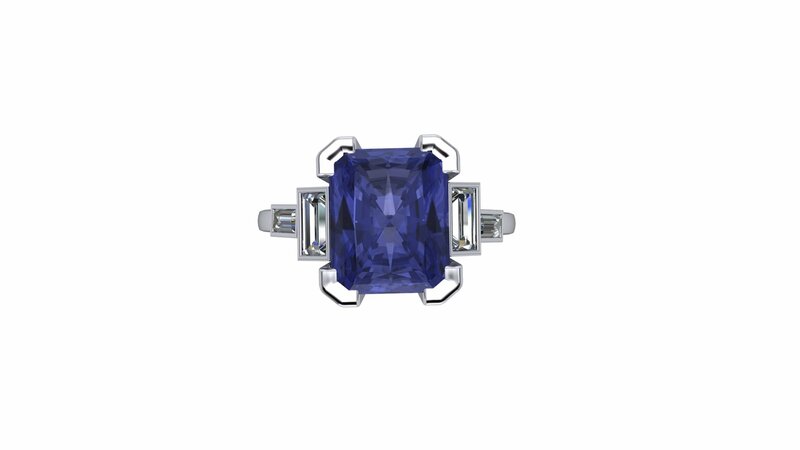 It is not only “the one” but an heirloom that I am sure will stay in our family for many years to come. 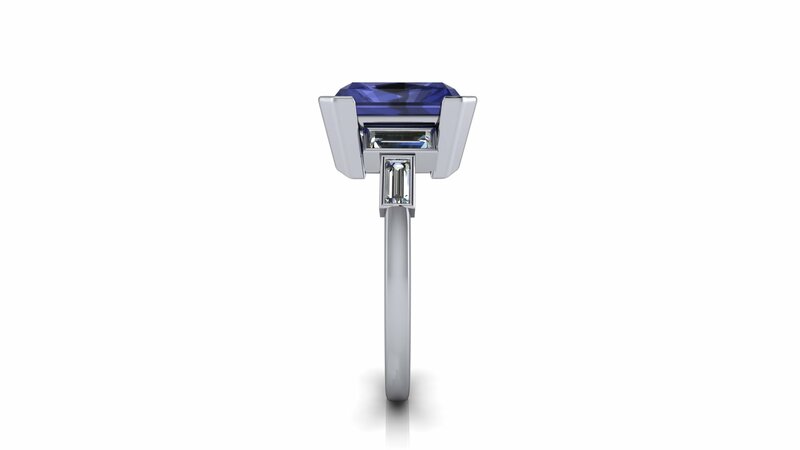 If you're not sure of your ring size just let me know and I'll send you a Free Ring Sizer in the post. 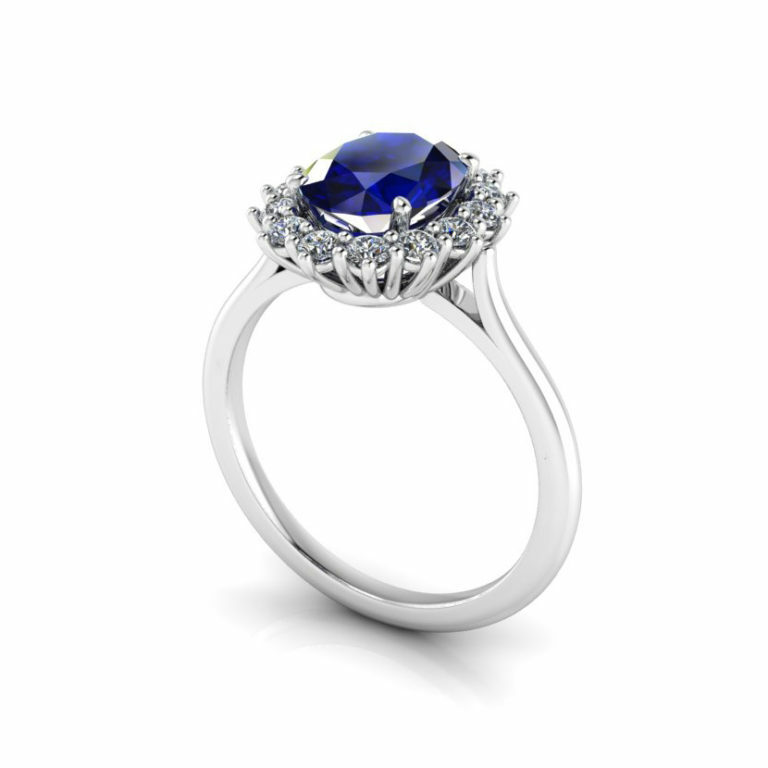 Want to Design your own Custom Engagement Ring?